The last 36 hours have been a bit of a rollercoaster. As rollercoaster rides often do, it started out well enough. I went swimming, did my 40 lengths, sat in the sauna, weighed myself after. Lost 800 grams! (Yes, I know that was almost only sweat, but it bolsters my determination.) 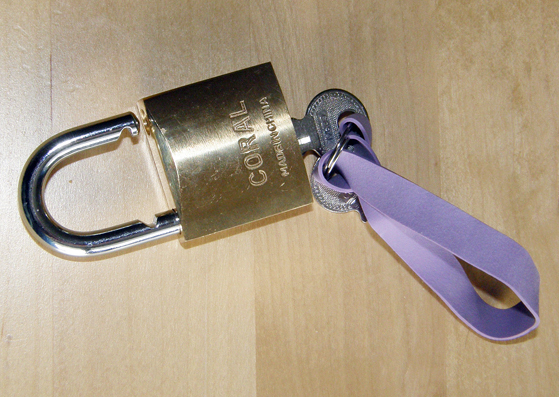 Of course, I started off by forgetting to take my padlock (for the clothes locker, which doesn’t without one). So I had to buy a new one at the reception desk. The guy sold it to me and apologised. I wasn’t sure why till I realised the rubber wrist band that came with the keys was pink. That’s what he was sorry for. Apparently my manhood may be called into question because I have a pink wristband. So much for gender equality in this most equal of nations. Home again, I started to build myself up for the evening by Googling for Alan Bennett quotes. We started off trying to set up a small anarchist community, but people wouldn’t obey the rules. The majority of people perform well in a crisis and when the spotlight is on them; it’s on the Sunday afternoons of this life, when nobody is looking, that the spirit falters. After that there was bit of a dip when I was witness to the distressing sight of a couple of my fellow players on the Artwiculate word game having a slanging match. I wanted to pour oil on troubled waters, but also felt the urge to say: “Oh come ON guys! It’s just a game.” I resisted both urges and got on with my novel. Elin’s Story has been unpicked (again) and I am stiching it back together (again), but I was feeling quite cheerful about my progress when I went to switch on my main computer. That was when the rollercoaster took a real drop. No, it didn’t look like this. The computer wouldn’t boot properly. Everything stopped. 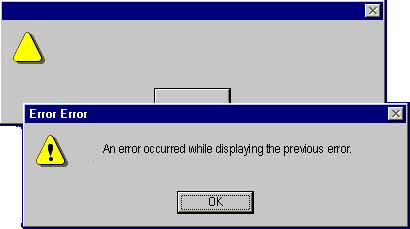 Error messages, exception messages. No matter what I did I couldn’t get it to work. Using my wife’s computer I searched for anyone with similar problems, but I couldn’t find anything. One blog entry from half a year ago was the closest I got. That person had received two of the same error messages I had, but there was no solution. Back to the main computer again. I could see my desktop, I could open files, but I couldn’t move anything ro copy anything. By trial and error I discovered I could open some files and then save them as new files to my USB memory stick. Clearly, I thought, I’ve managed to install a virus of some sort. But how? I keep the virus protection updated and do a scan once a day. It never crossed my mind that the virus protection was actually the culprit. In a very low state of mind and spirit, I traipsed off to meet my wife for a meal before we went to Bio Roy here in Gothenburg to see the broadcast of the National Theatre’s production of Alan Bennett’s The Habit of Art. What a great performance! If the computer crash was the rollercoaster’s dip, then the performance was the subsequent hill. It raised my spirits enormously. But on the tram home, I kept thinking of all the time it would take to copy laboriously each file I could open, one by one to the USB memory before I would dare to reformat the hard disc. I didn’t sleep particularly well. In the morning, though, what joy was mine to read in the paper that it wasn’t just me and my computer, but hundreds of thousands of others here in Sweden, and millions world-wide. And the relief when I found McAfee’s fix actually worked and was simplicity itself to apply.